An EXTREMELY DETAILED, time intensive process, to catalog CORRECT and INCORRECT citations on the web. NO SHORTCUTS! NO LIMITS EVEN IT TAKES A THOUSAND URL'S AS LONG AS IT EXIST I WILL GET IT! NAP Variations: I will check by finding existing variations (previous and current) of your NAP. Manual search and Whitespark check to come up as many citations as possible. 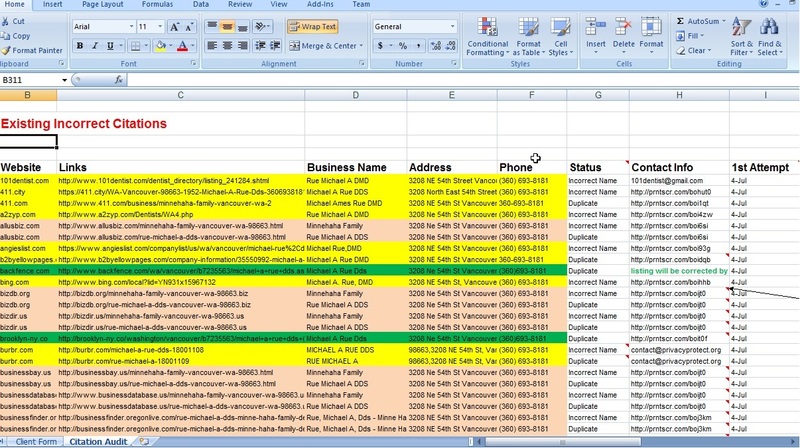 Existing Correct Citations: I will get and document all of your existing citations in an excel sheet report in complete details. Existing Incorrect Citations: This is what you have paid for. I will track down all fo your BAD and inconsistent citations that can harm your site's ranking. I will include on my report what went wrong so you can fix them even you don't need my cleanup service. 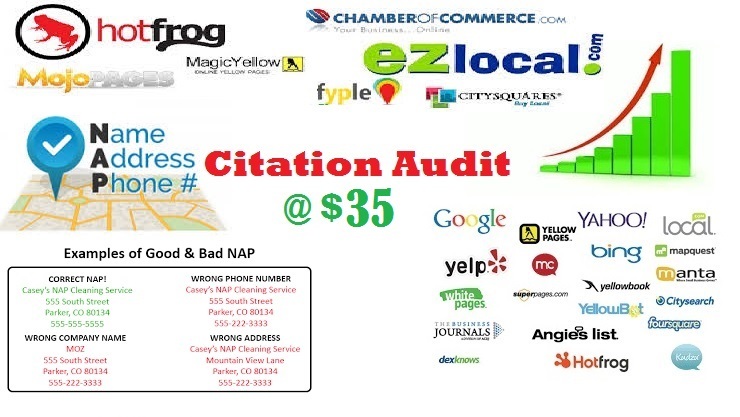 Aggregator Checks: Just in case you have paid aggregator sites from the past I will track down bad citations from these aggregator sites that you can traced back and correct it.